The enduring influence of the gunmaker’s gunmaker. 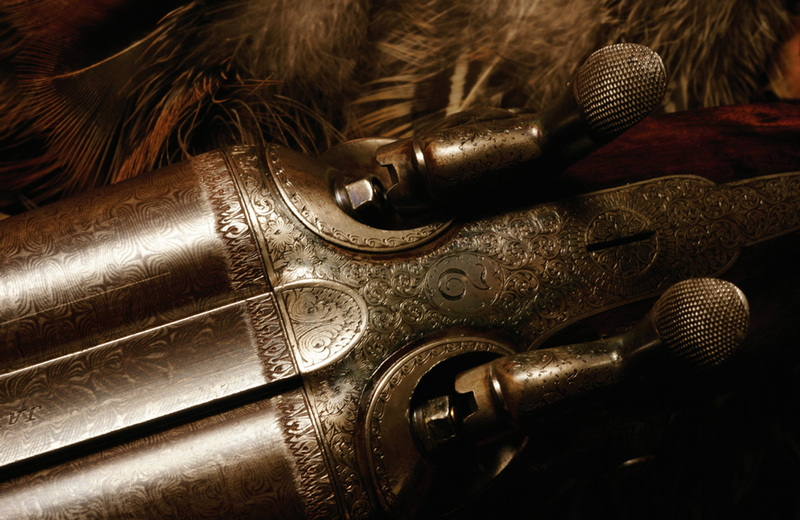 FOR SUCH A MOMENTOUS EVENT— momentous in the world of gunmaking, at any rate—remarkably few details are recorded. All we know is, on a September day in 1948, Charles L. Woodward made his way from his shop in Bury Street, St. James’s, to James Purdey & Sons in South Audley Street. Gunmakers—even old gunmakers—are active people, and it’s a pleasant stroll from Bury Street up to Piccadilly, along to Half Moon Street and up South Audley. It being London in September, very likely it rained, and three years after the end of the war, London’s hard-hit West End was still clearing away the rubble. A month earlier, London staged the 1948 Summer Olympics—the first since Berlin in 1936—and it was judged a success, although it has been known ever since as the Austerity Games. There were no new arenas, no Olympic village. Events were held in facilities that survived the war, such as Wembley Stadium. Athletes were housed in disused army barracks and, with rationing still in force, were asked to bring their own food. Such was the state of London and the West End gunmakers in the lean years after 1945. With a Labour government nationalizing industries, “modernizing”production, taxing the upper classes out of existence, and generally creating a socialist paradise,the rarefied world of Holland & Holland, Purdey, and Boss was on the brink of oblivion. Woodward hammer guns, as above,were noted for having a long, soft hammer throw. Gunmakers that came through the Blitz unscathed now faced the challenge of selling luxury goods in an austerity world, finding clients to replace those killed in the war or impoverished by the postwar, and convincing news hooters—if any existed—that owning a London gun is its own reward. In a world of mass production, that was a daunting prospect. James Woodward & Sons, whose modest shop in Bury Street belied its place at the “top of the tree” in London gunmaking, suffered greatly in the war. A bomb damaged the shop at 29 Bury Street badly enough that the gunmaker was forced to take refuge with Grant & Lang, some doors down at No. 7. Compared to some, it got off lightly; still,the tiny company ended the war with few reserves. Unlike Purdey, which had grown on its reputation, invested well, and owned property in London, Woodward was, and always had been, a family owned business with a handful of craftsmen and tiny production. Its most valuable asset was a reputation for making the “very best” guns; its second-most valuable was its patented over-and-under shotgun. In 1948, Charles Woodward, grandson of the founder, was ready to retire, but he wasn’t about to surrender the Woodward name to just anyone. If there was to be a takeover,the only suitor he would consider was Purdey. And so, on that September day, he strode from Bury Street up to South Audley to ask Tom Purdey to purchase JamesWoodward & Sons, Gun & Rifle Manufacturers. AT THE TIME MR. WOODWARD ARRIVED, bomb damage was still uncomfortably evident on the façade of Purdey’s majestic building at the corner of South Audley and Mount Streets, but otherwise the company had come through the war admirably. Its machine-tool business, for war production, had been profitable, and although the company faced the same postwar commercial difficulties as other London gunmakers, it was in far better shape to face them.It was even in a position to acquire the assets of others. When Woodward first approached Purdey about a possible sale that summer, he was turned down. Purdey’s business advisers concluded that, with a production of just three(!) guns a year, a handful of craftsmen, and a small client list,Woodward simply had nothing, really, to buy. Also, in its 150-year history Purdey had never acquired anyone, although this was common practice in the industry. At that moment, for example, H&H was acquiring the assets of W. J. Jeffery; Stephen Grantfirst merged with Joseph Lang in 1925, then took over Charles Lancaster, Frederick Beesley,and several others. On Charles Woodward’s second approach, however, Purdey took a closer look. As a going concern,Woodward may have been going nowhere. Its client list may have been redundant, its work in progress worth a few pounds at best, and its craftsmen, although highly skilled, super annuated. What Woodward did possess, however, and what Purdey badly needed, was the Woodward over-and-under shotgun. That was the jewel, and well worth the price. The classic Woodward sidelock displays nuances that became distinctively Woodward, including the stylish arcaded fences and T-shaped safety catch with a locking button. To understand why it was so important, we have to go back 25 years to the early 1920s. The economic disaster in the aftermath of the Great War presented the London gunmakers with a situation every bit as dire as 1945.With the English market devastated and the European market nonexistent, London gunmakers turned to America for salvation,and all the prominent gunmakers made regular sales trips to the United States. America profited handsomely from the war— from both wars, in fact—and there was no shortage of wealthy Americans to buy the finest guns. But many Americans preferred over-and-unders, and for an English company to prosper in the States, it needed one. Although Purdey had made several attempts in this direction over the years, its over-and-unders had never come close to the two premier English designs, the Boss and theWoodward. 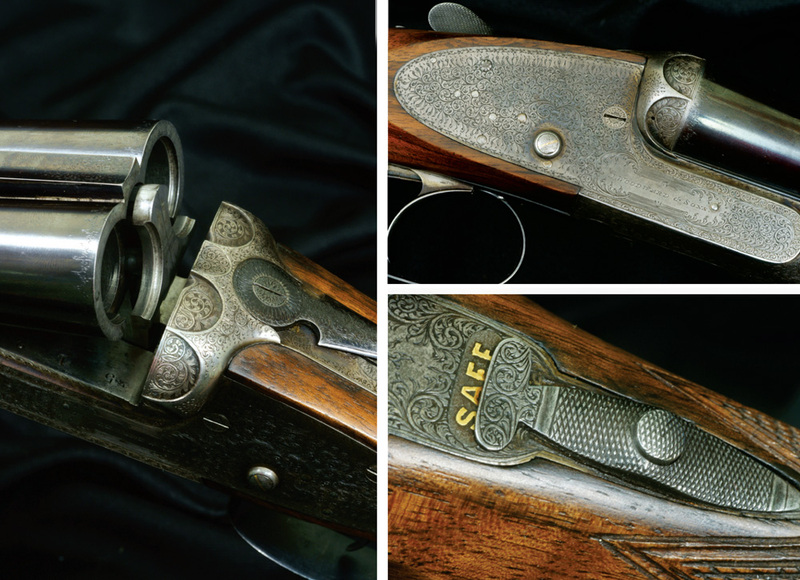 In the summer of 1948, Tom Purdey had just returned from a sales trip to the United States, where several potential buyers inquired about over-and-unders. Purdey had barely resumed work on its own design when along came a chance to simultaneously acquire the highly respected Woodward, gain a substantial foot hold in a vital market, and remove a rival. Purdey made it plain to Charles Woodward that if he aquired Woodward’s company, his firm wouldn’t continue any Woodward gun except the over-and-under. The famous Woodward side-by-side, with its hallmark arcaded fences, would die. James Purdey & Sons acquired James Woodward & Sons for £300, plus an additional £144 14s 6d for parts, materials, and work in progress. For five years, it would also pay 10 percent royalties on ammunition sales and repairs from Woodward’s client list. After more than a century and roughly 5,000 guns and rifles, the Woodward name disappeared from the roll of London gunmakers. In 1889,G. T. Teasdale-Buckell, “T-B,”the editor of Land and Water, wrote a series of profiles of London gunmakers. He made the point that these were genuine London firms, not merely sales shops representing “country makers,” and included only those companies producing the very finest work: Purdey, Charles Lancaster, John Rigby, Boss & Co., Stephen Grant, and James Woodward.